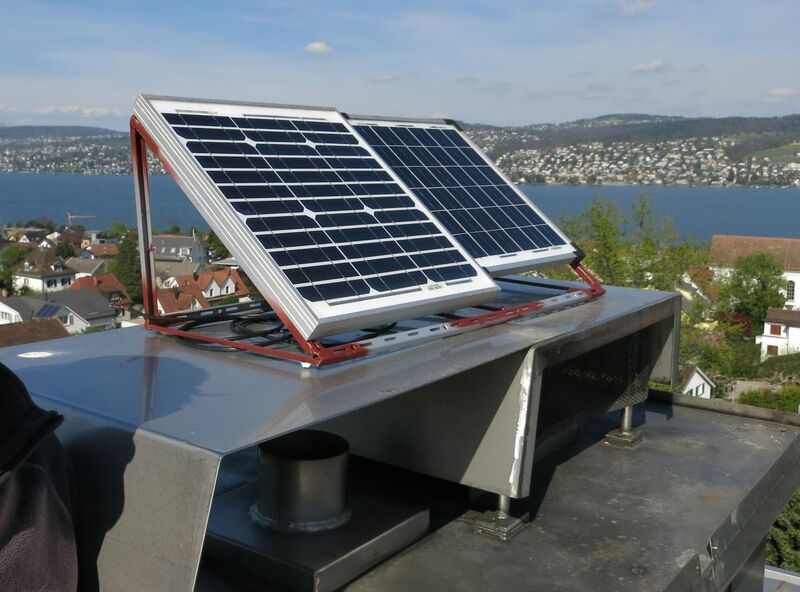 On 27 September 2014 I changed the energy source of the wandboard Quad to Solar panels. 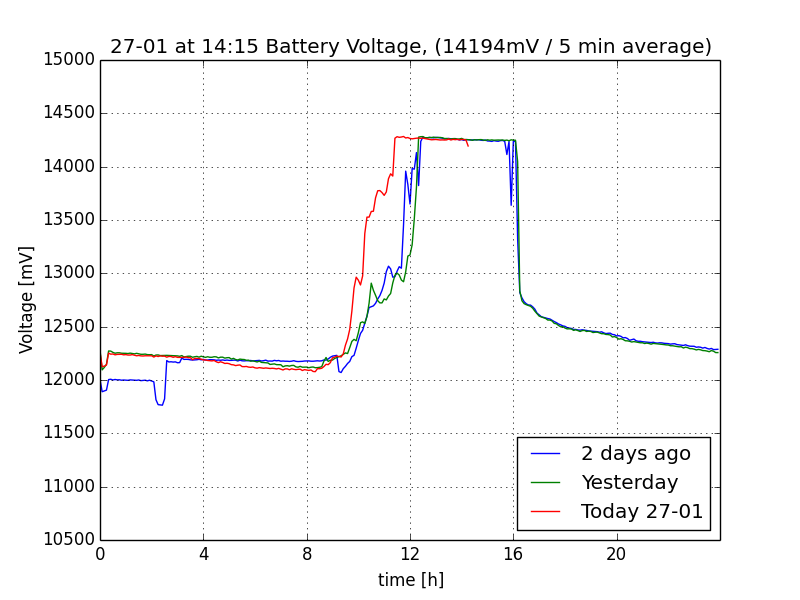 I installed 40W of photo-voltaic panels feeding a lead acid gel-battery of 18Ah (2x 9 Ah). 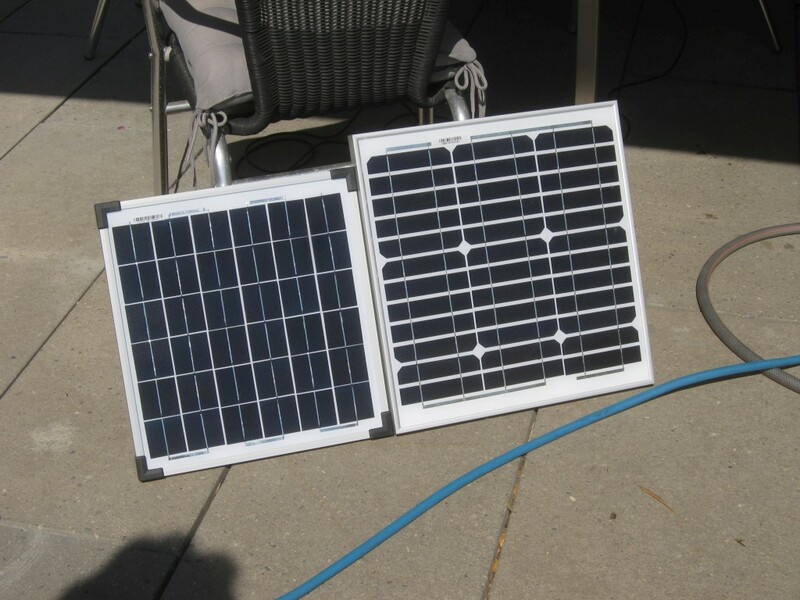 The panels come in increments of 20W and I did not think 20W was enough to make it through winter. Note that around this time of year (Sept), the sun is right between minimum and maximum high point. I pointed the panels due south at an angle of 45 degrees. 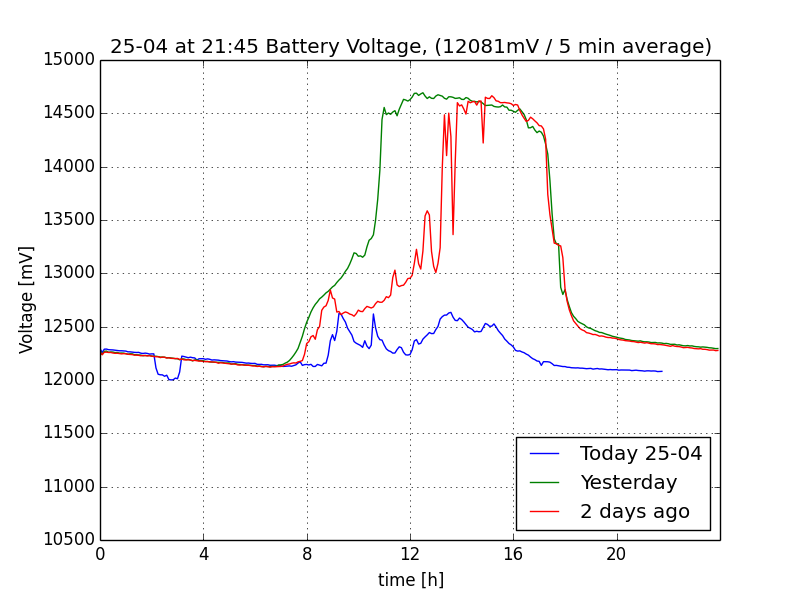 On 23 Aug 2015 I replaced one of the 9Ah batteries with a 55Ah car starter battery, and on 13 April 2017 I moved the solar panels to the top of my roof, where I get sunshine from dawn until dusk without tree shadows. On 23 Sept 2017 (which is when we have 12 hour day / 12 hour night) I added a 5 year old 90Ah car battery. 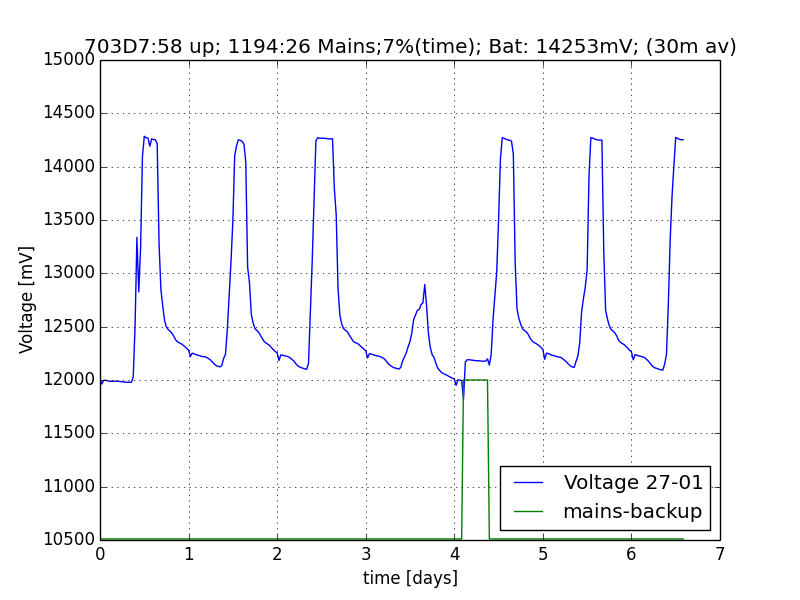 I estimate this battery has about 60 Ah capacity left. 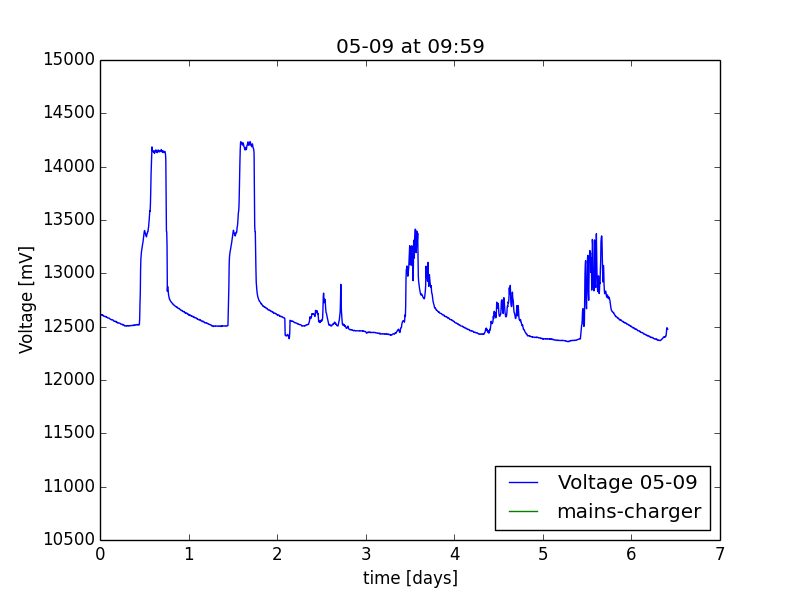 The above plots are automatically generated every 15 minutes with python and matplotlib. 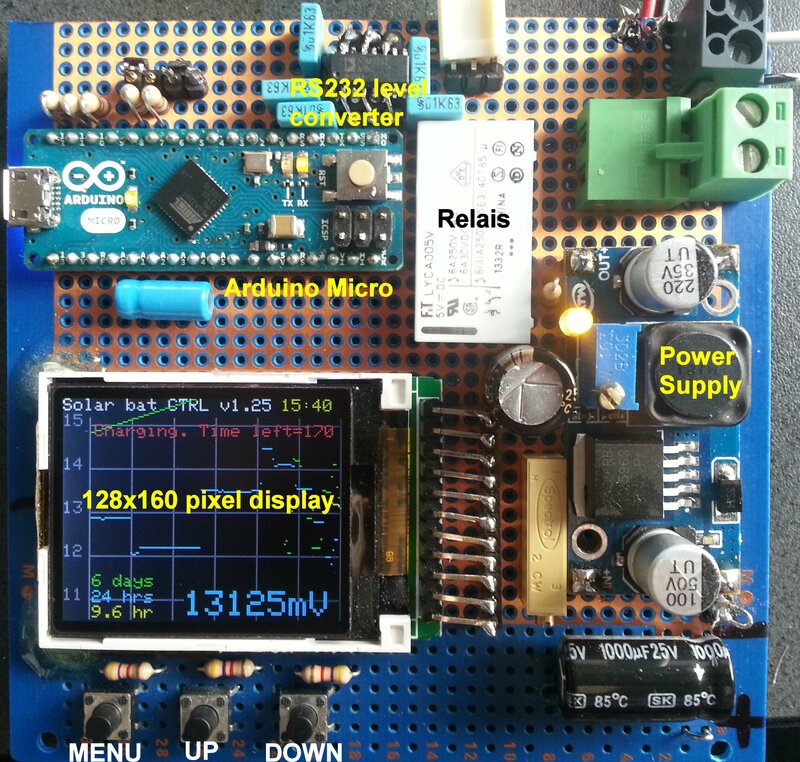 The lead-acid battery voltage measurement value is sent by the Arduino battery monitor via RS-232 to the serial port of the Wandquad. 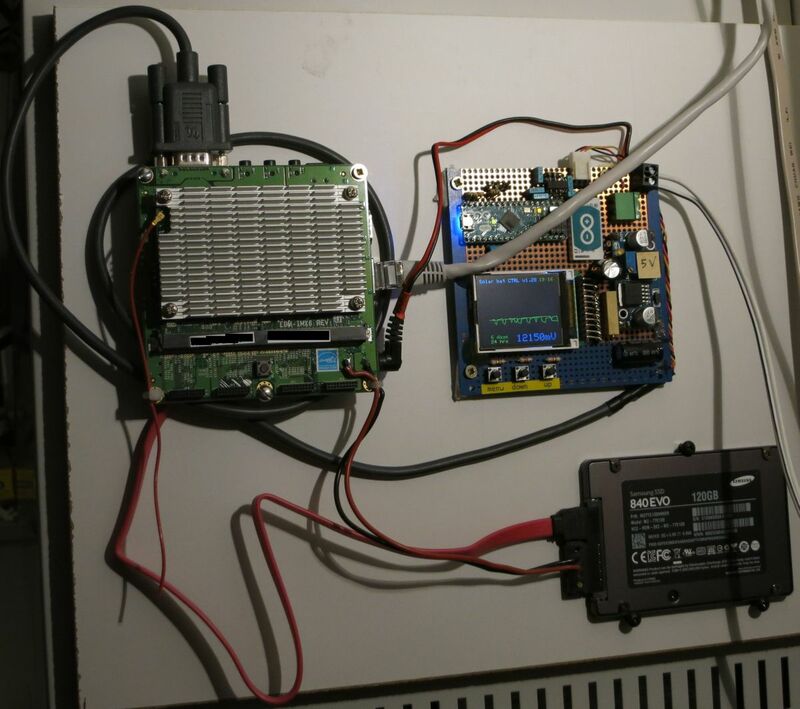 The Arduino averages the voltage over 60 seconds and sends it once per minute. The daily plot (left) plots a point every 5 minutes (average of last 5 measurements) and for the weekly plot a point is drawn every 30 minutes (average of last 30 measurements). page views since 28 Sept 2014.